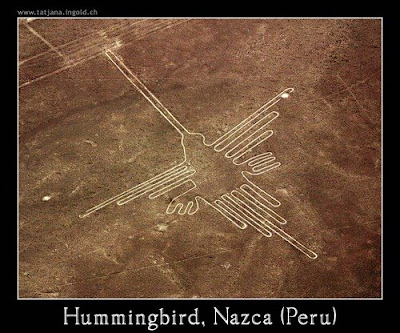 The Nazca Hummingbird has stood the test of time etched on the rocky hills of Peru. 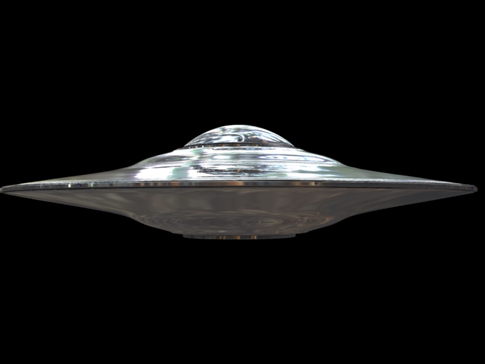 Nobody has been able to explain this ancient alien artifact. The mystery became even greater on July 2nd 2009, when a strikingly similar hummingbird figured appeared as a crop circle in Stanton St Bernard, Wiltshire, in the UK. The butterfly has many spiritual representations, namely that of joy and the infinite. The symbol for infinity is the pattern made by the butterfly with its wings (unlike any other animal). Additionally, the butterfly has represented eternal joy and happiness. Is the Butterfly Crop Circle Paranormal? One must ask the question why would a prankster spend a significant amount of time and effort creating this Butterfly Crop Circle? If this crop circle was not paranormal why would the pranksters not make it exactly like the one see as a part of the Nazca lines? It only makes sense that an individual in an attempt to "freak everyone out" would design their crop circle just like the one at Nazca. 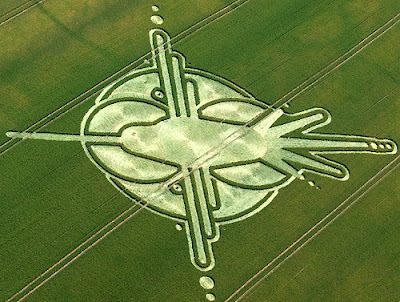 Therefore it seem highly likely this Crop Circle and the Nazca line will remain highly mysterious symbols from perhaps ancient aliens or even The Arcturians.